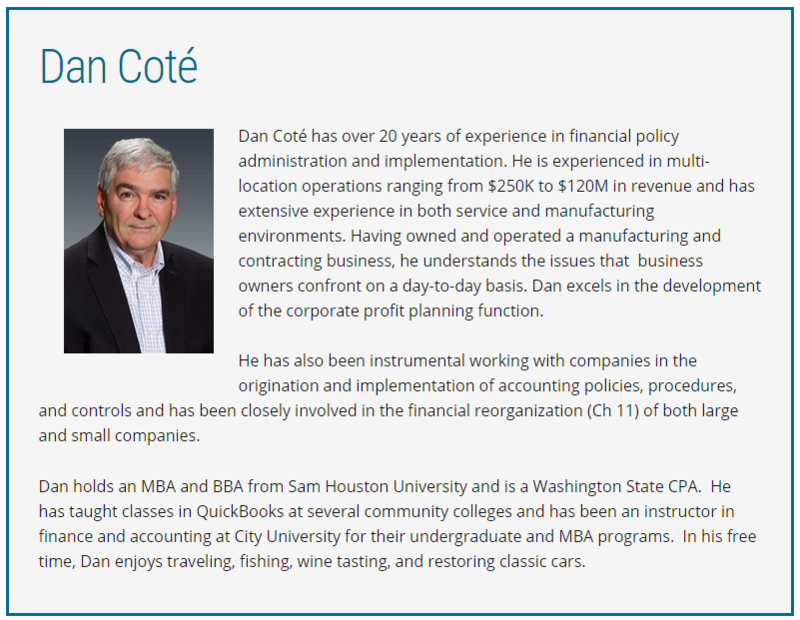 Dan Coté has over 20 years of experience in financial policy administration and implementation. 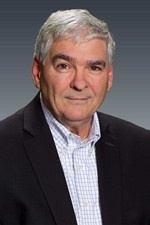 He is experienced in multi-location operations ranging from $250K to $120M in revenue and has extensive experience in both service and manufacturing environments. Having owned and operated a manufacturing and contracting business, he understands the issues that business owners confront on a day-to-day basis. Dan excels in the development of the corporate profit planning function. He has also been instrumental working with companies in the origination and implementation of accounting policies, procedures, and controls and has been closely involved in the financial reorganization (Ch 11) of both large and small companies. Dan holds an MBA and BBA from Sam Houston University and is a Washington State CPA. He has taught classes in QuickBooks at several community colleges and has been an instructor in finance and accounting at City University for their undergraduate and MBA programs. In his free time, Dan enjoys traveling, fishing, wine tasting, and restoring classic cars.